Now that I have released my second title, I have found that the birth of a new book–no matter how many times you do it–feels just like the first. This gives me hope. It puts a smile on my face. It assures me that there will always be a certain element of excitement, mystery and even misery that accompanies this momentous occasion. I don’t ever want to tire of this. You see, the birth of a new book is much like the birth of a child. It’s legacy. It’s lineage. It’s a part of you that will remain until time indefinite. It’s evidence of the idea that was conceived, nurtured and brought to life. A reflection of the creative part of its author. As I sit with these thoughts, it all makes so much sense. I’m a mother to eight children. Each pregnancy and birth was different, just as each child was different. Each one unique and special in his and her own way. And each time was just as beautiful as the first. Each time, I felt the same excitement and thrill. Each time, my heart expanded in size and my capacity to love intensified. So much love and labor goes into a book project. That’s what makes it so beautiful…the story behind the story. The life behind the title. The person behind the author. 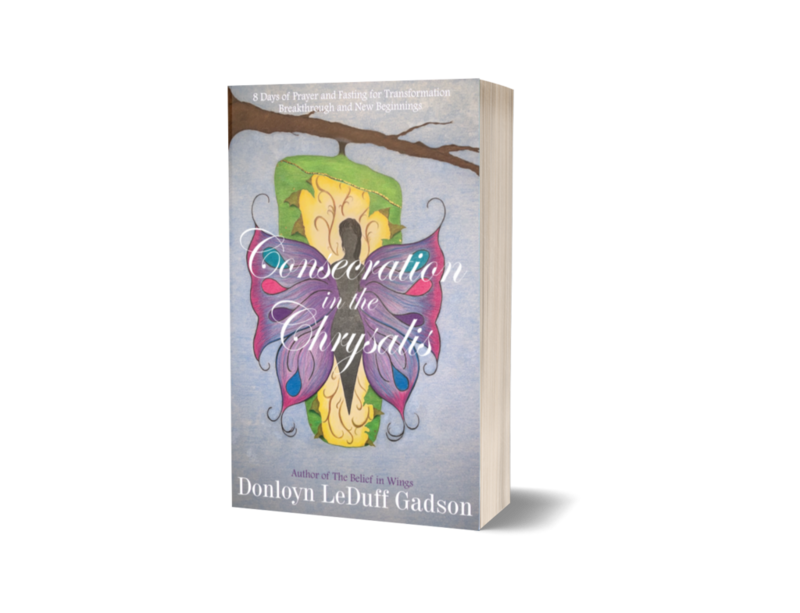 The idea for my new release, Consecration in the Chrysalis, was conceived 6 months ago. I began writing it on August 14th, 2018. I know the date I began writing because I penned a prayer to God in my journal. I asked Him to guide me on this new journey…to share His heart with me…to speak the words He wanted me to write. I told Him I needed Him and didn’t want to write it without Him. Here I am, exactly 5 months later, celebrating the arrival of a promise…celebrating the birth of a new book. And it did not come without stretch marks, body aches and birth pains. I carried this literary baby inside of me as it developed. And when it was time, I labored. I labored and I pushed until a new piece of my legacy was born. And all of this was done while life continued to swirl around me. Storms formed and raged about. Waves swelled and crashed down. Life as a wife and mother of 8 took its toll, but I did not give up. I had another life inside of me that needed to see the light of day. 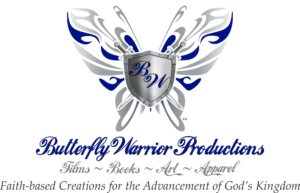 I had a vision that needed to be birthed.There were many sleepless nights. A few tears were shed and there were even thoughts of calling it quits. But I pressed onward. You see, the story is for the reader. The story behind the story is for me. It’s for me because it’s one of unrelenting persistence. It’s one of belief. It’s one of becoming. It’s one of birthing. It’s a story of faith. It’s a story of answered prayers. It’s a story that reminds me that I can do all things through Christ who strengthens me. The story behind the story and the life behind the title remind me of who I am as the person behind the author. It sharpens my view of the person I was designed to become. For many years I had no idea who that person was. I had no idea who God was calling me to be or what He was calling me to do. And I know that may be the case for many of you. Uncertainty, fear and doubt may be plaguing you…keeping you stuck in a rut, unable to see your next. Uncertainty, fear and doubt form a dangerous cocktail for a woman who is full of power with no idea of how to use it. They kill the vision long before she can ever see it. And even if she has heard God’s call on her life, they keep her stagnant and lifeless so she can never move forward in it. This book was birthed so you can move forward in that call. This book was birthed to show you how to gain clear insight on your next. This book was birthed for the purpose of transformation that will lead to your breakthrough and new beginning. The birth of new book is just like the first time–full of excitement, mystery and misery. I never want to tire of it…It feels like a new beginning. I encourage you to invest in a copy of Consecration in the Chrysalis. Your new beginning awaits!